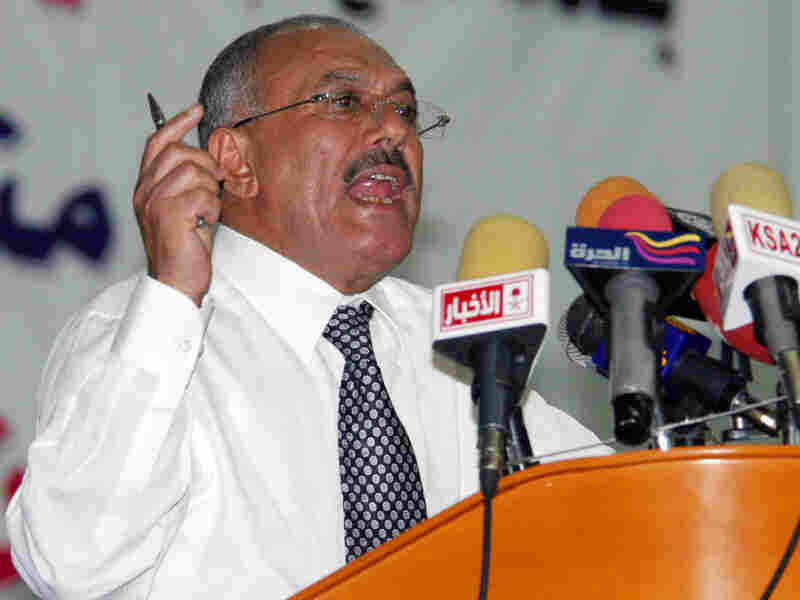 Yemeni Leader: U.S., Israel Plotted Unrest Yemen's American-backed president, Ali Abdullah Saleh, said that the U.S. and Israel were behind the protest movements that have swept across Northern Africa and the Middle East. He said there is an operations room in Tel Aviv run by the White House that has the "aim of destabilizing the Arab world." Yemeni President Ali Abdullah Saleh gives a speech at Sanaa University on Tuesday as vast numbers of protesters poured into a nearby square for a massive anti-regime rally. Yemen's American-backed president accused the U.S. and Israel of carrying out a "Zionist agenda" to foment revolution across the Arab world, as thousands of protesters poured into streets Tuesday in the largest rallies yet demanding his resignation. Speaking to university students and academics in the capital, President Ali Abdullah Saleh said that the U.S. and Israel were behind the protest movements that have swept leaders from power in Tunisia and Egypt and have threatened regimes across Northern Africa and the Middle East. "I am going to reveal a secret," Saleh said at Sanaa University. "There is an operations room in Tel Aviv with the aim of destabilizing the Arab world. The operations room is in Tel Aviv and run by the White House." "We say that this is a Zionist agenda," he said. In another sign of defiance, Saleh fired five of Yemen's 22 provincial governors Tuesday, a government official said. Three of the governors were dismissed for criticizing Saleh's crackdown on protesters, said the official, who spoke on condition of anonymity because he was not authorized to discuss the reasons for the decison. About 6,000 government supporters gathered in Sanaa, raising pictures of Saleh and shouting, "No to anarchy, no to destruction." As they marched, tens of thousands of anti-government protesters rallied near the university where Saleh spoke, chanting, "The people want the downfall of the regime." Yemen's opposition parties joined the protests for the first time Tuesday, and organizers said they brought hundreds of thousands into the streets in cities nationwide for the largest turnout since the uprising began Feb. 11. Sheikh Abdul-Majid al-Zindani — considered by the U.S. to be linked to al-Qaida — led noon prayers and warned the government not to use force against demonstrators. "We hail the peaceful revolution of the youths and their legitimate demands and rights," he said. Al-Qaida has been notably absent during the recent uprisings. Brian Fishman, the Counterterrorism Research Fellow at the nonpartisan New America Foundation, told NPR that he believes al-Qaida is delighted by the spread of rebellion. "I think in general they are elated," Fishman said. "They are very excited by the fact that these autocrats are overturned, that has been a central goal of al-Qaida." Tunisian opposition leader Neijib Chebbi stepped down Tuesday from the unity government formed after a popular revolt ousted the country's longtime president in January. 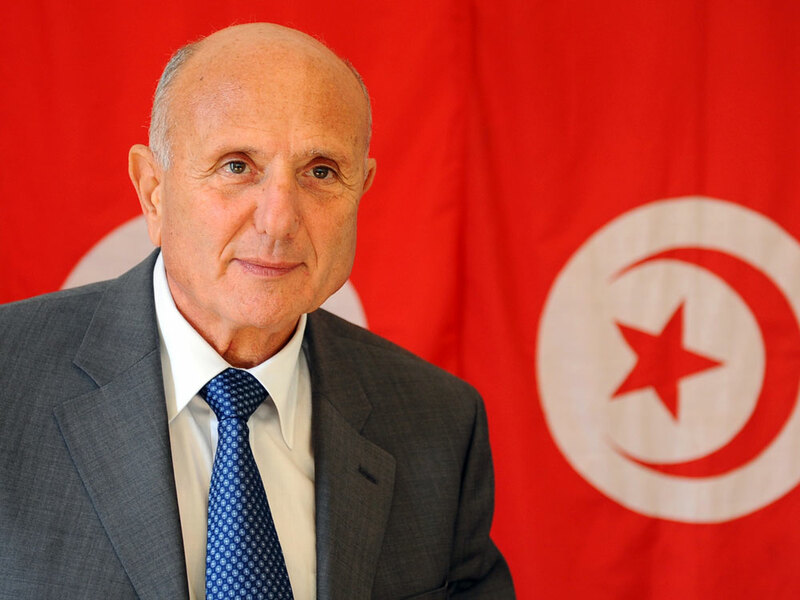 Tunisian opposition leader and lawyer Ahmed Nejib Chebbi, pictured in January, said he resigned Tuesday because he is not happy with the country's newly named prime minister. Chebbi's resignation follows the departure of Prime Minister Mohamed Ghannouchi on Sunday and Industry and Technology Minister Arif Chelbi on Monday. Chebbi, who founded the opposition Democratic Progressive Party, said he is not happy with the newly named prime minister and that new government measures were aimed at keeping him from seeking the presidency. The slew of resignations throws the stability of the new government into serious doubt as it tries to steer a course toward new, more democratic institutions and deal with a burgeoning refugee crisis along its border with Libya. Refugee officials say more than 75,000 people have fled to Tunisia since Feb. 20 to escape the growing unrest in Libya, with 69,000 more crossing eastward into Egypt. Melissa Fleming, a spokesman for the U.N. High Commissioner for Refugees, said Tuesday that "the situation is reaching crisis point" at the Libya-Tunisia border. Other aid officials say humanitarian aid workers are being blocked from reaching western Libya and patients reportedly are being executed in hospitals and struck by hidden gunmen in ambulances. Troops were deployed in Oman's capital, Muscat, and near the border with the United Arab Emirates on Tuesday following three straight days of anti-government protests, a government official said. Sohar, about 120 miles northwest of Muscat, has been the center of the uprising in Oman. The country is ruled by a powerful family dynasty and is the latest Arab nation to be swept up in the regional unrest. Anticipating more unrest, the government deployed troops and military vehicles around the capital and near Oman's border with the UAE, a government official said Tuesday. The official spoke on condition of anonymity because he was not authorized to release information to the media. Oman's ruler, Sultan Qaboos bin Said, has proposed reforms to try to quell the popular rebellion. On Sunday, he ordered the creation of 50,000 civil service jobs and offered a monthly stipend of 150 rials ($390) for job seekers. A day earlier, the sultan replaced six Cabinet members. Thousands of people also held a pro-government rally on Tuesday afternoon. They rallied in central Muscat, in front of the capital's biggest mosque, chanting slogans in support of the government and calling on the anti-government protesters in Sohar to refrain from destroying state and private property. In Jordan's capital, Amman, about 400 Muslims from a banned sect took to the streets to urge the king to release political prisoners. The demonstrators belong to the Salafist sect, Muslims who observe an ultraconservative version of Islam. One of the protesters, Salah Annaani, said dozens of people from the sect have been held without charge because of religious discrimination and allegations of terrorism. They want the king to make good on an amnesty pledge. "We are asking please get our people, our kids, our relatives, our brothers outside of jail," Annaani said. "Everybody knows they have been put in jail for the sake of political things. They are innocent." The New York-based Human Rights Watch says Jordanian authorities detain more than 10,000 people every year without trial, with many imprisoned for several years. The government denies the charges. Dale Gavlak reported from in Amman, Jordan, for this story, which contains material from The Associated Press.